Miss Clara by Nobis is one of my absolute favourites in Stockholm. 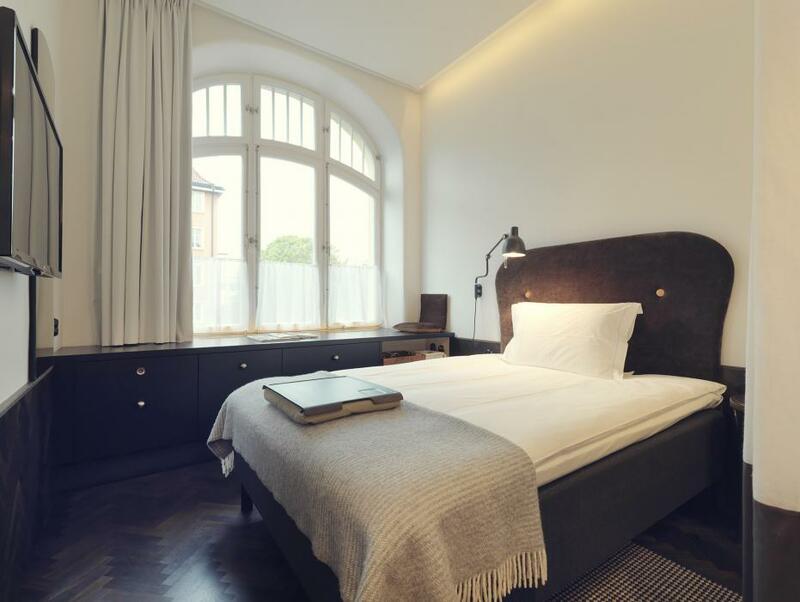 It's a sisterhotel to the more well known Nobis at Norrmalmstorg near Acne Studios flagshipstore, Kungsträdgaarden (Kings Garden), NK department store etc. Miss Clara opened it's doors in 2014, so all interior is in a good shape. The rooms are very cosy with plenty of space. You can sit in the ceiling and have a glass of wine from the very well assorted minibar. The bed is of a high standard, so it's almost guaranteed that you'll get a good nights sleep. One thing in the rooms that sticks out is the bathroom. The one in my room didn't fit to the standard of my room, but that's a minor thing. I know that other rooms are different. On the ground floor you'll find the lobby, with a small seating area for drinks or coffee. Next to the lobby there's a restaurant which was all full both days I stayed in. Even though the swedes are well known for going out for lunch, I think this was exceptional. That's a sign of good food and atmosphere. For a trip to Stockholm, I can highly recommend Miss Clara. 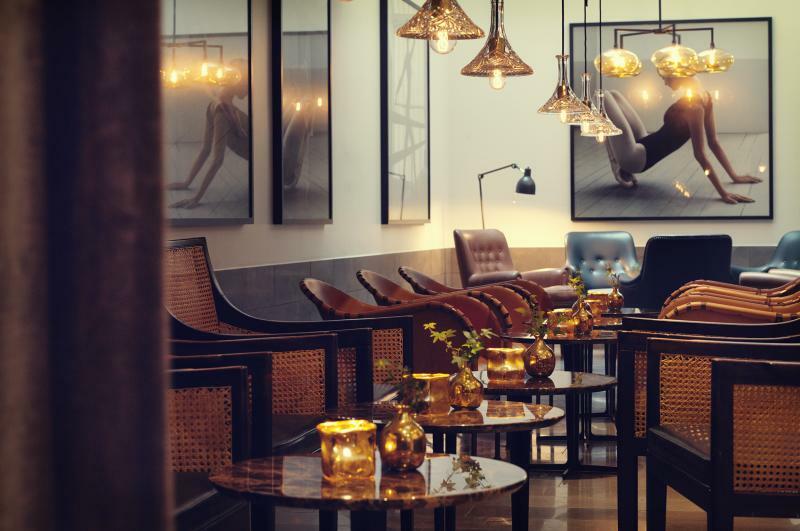 If you're a member of SPG (Starwood Preferred Guest), you'll collect points at your stay. Single rooms start at approx 170€, and compared to the hotel prices in Stockholm, this is very reasonable.